When Oprah announced A New Earth as her 61st Book Club selection, it skyrocketed to #1 on the New York Times bestseller list, selling over five million copies in paperback and remaining at the top of the list for twenty-two consecutive weeks . In A New Earth, renowned spiritual teacher Eckhart Tolle describes how our current ego-based state of consciousness operates. The purpose of this book is to bring about a shift in consciousness, or in his words, an awakening. An essential part of this awakening is the recognition of the ego, and our attachment to things, the past, and enemies. 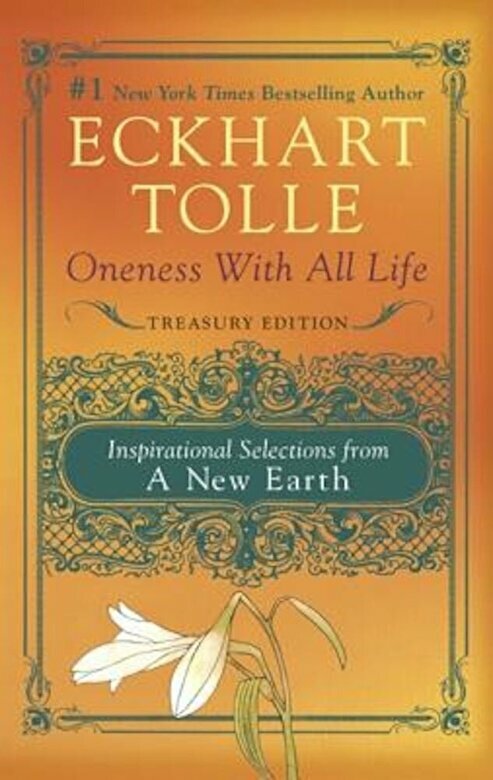 In Oneness With All Life, Eckhart Tolle has picked the essential phrases and paragraphs-the gems of the book-that he feels are most important and reorganized them so readers can focus on the most powerful ideas. Beautifully packaged with evocative artwork and design, it is the perfect gift for anyone with a well-worn copy of A New Earth who wants deeper insight into this seminal work.